Many of you may of seen this foundation sneak it's way into previous posts.It has been a true favorite of mine for a good few months now and I am finding myself reaching for it every freakin' day and every freakin' night. It just works. A medium coverage that looks so natural, lasts a phenomenal amount of time ( it gives no claims to this it's simply a wonderful attribute) blends like a dream, smells heavenly and the packaging is light and easy to travel with. I have multiple foundations in my beauty drawer but all have taken a redundant back seat since bringing this back into my daily routine. 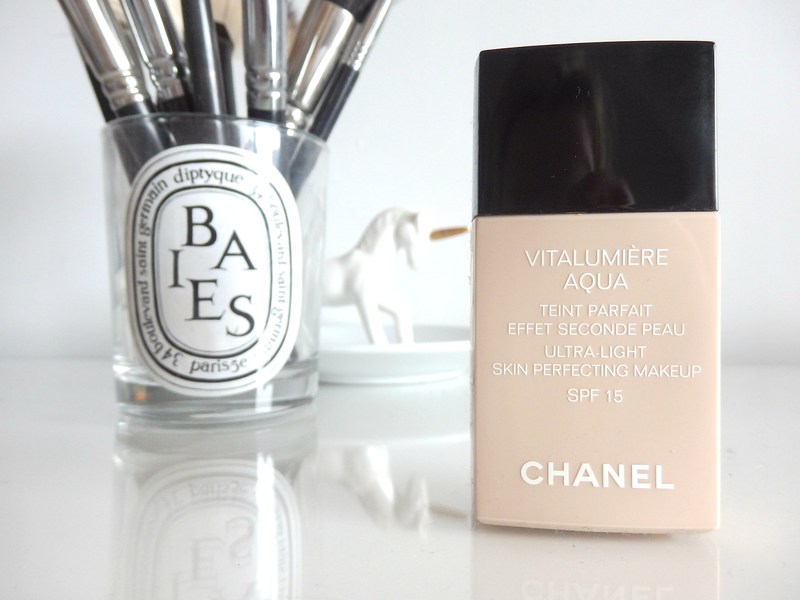 My first impressions of this after looking at Chanel's advertising was that this would be a light coverage - more of a tint but it gives, for me a perfect medium. I apply with the Real Techniques buffing brush or my Sigma F80 then blend in with a Beauty Blender - I always finish with a light dusting of Chanel's les beiges powder in 10. I am now on my second bottle in shade 20. The first time I purchased this I went for the lightest shade 10 but on a consultation at my local Chanel counter 20 was a more natural match. Honestly I can't put into words how bloody lovely this stuff is. Please go and ask for a sample - you won't regret it. However do bare in mind I have normal skin and always use a primer underneath which is usually Too Faced - Hangover Primer or Charlotte Tilbury Wonderglow.